Before scheduling a GreenStreet Solutions Home Energy Audit, one of our team members will ask you a few questions about your home energy usage. We will also ask that you provide a year’s worth of energy bills so we can compare them with our audit findings. Our team is unique. Yes, our experts are BPI–certified and professional—but it’s their passion that makes them most valuable to you. Our team members truly love what they do, and it shows in our exceptional service and unbiased, honest recommendations. When we arrive for your energy audit, two or more of our efficiency experts will spend two to four hours conducting a range of visual inspections and completing a series of tests and measurements inside and outside the home. During the audit, we encourage our customers to actively participate in the process. By seeing and understanding the “before” scenario, you’ll be better able to recognize how the improvements will save you money, increase your home’s efficiency, and make your home more comfortable. See Step Two for more details about how we present our energy audit findings to you. The Blower Door test is included in a GreenStreet Home Energy Audit. 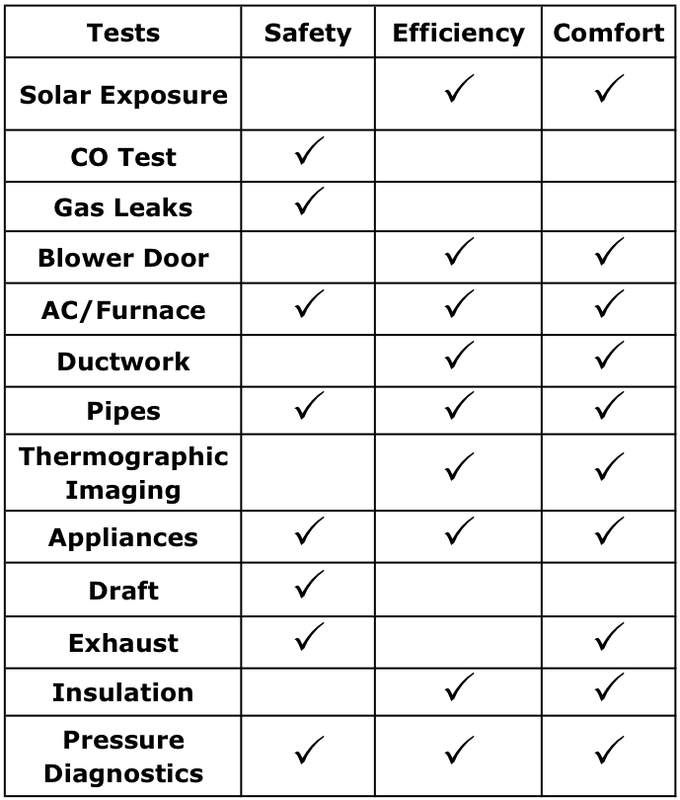 The Blower Door Test is a depressurization process used to identify total air leakage for the whole house. Click Here to see it in action. In addition to GreenStreet’s thorough home energy audit, our staff is a Licensed Radon Contractor in the state of Ohio. We are licensed to perform both testing and remediation services. Learn more about this process here, or contact us at 1-888-476-2010.